Drupal is a free and open source Content Management System (CMS) that lets users managing ,organizing and publishing their content. Drupal is built on environments made in PHP. This can be carried out under General Public Licence I.e, GNU, which defines everyone to have a freedom of downloading and having it shared to the other users. 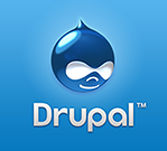 This session on Drupal would teach everyone, the basics, which can be used to create websites with much ease. This Chapter on Drupal has been prepared to those who has prior knowledge of CSS and HTML and has that urge to develop various websites. After the completion of this tutorial learner would easily find themself at a basic to expertise level in developing the websites using Drupal. Before getting started with this chapter, we are assuming that user is already aware of the knowledge that an ameateur has on HTML and CSS. If one is not well aware of CSS and HTML, then we would suggest all to go through our short tutorials on HTML and CSS.